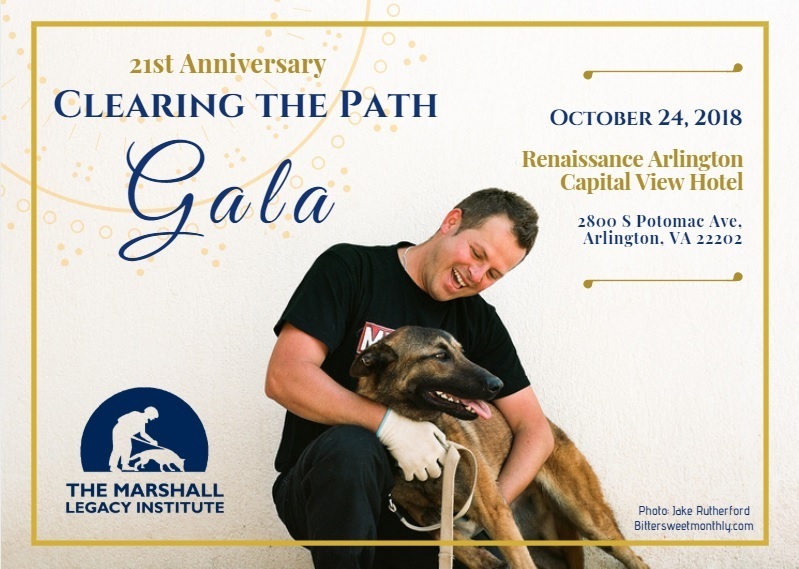 ►21st Anniversary Clearing the Path Gala: Join us to celebrate 21 years of mine action at our Gala on October 24! Join us on October 24th as we celebrate 21 years of commitment, dedication, and progress towards a mine-safe world! The Clearing the Path Gala will honor leaders whose extraordinary efforts have improved lives in war-torn countries and will highlight accomplishments achieved in the past year that have made the world a better and safer place. Tina Kaidanow, Director of International Cooperation at the U.S. Department of Defense, will deliver the keynote address. Ambassador Kaidanow has an impressive diplomatic history and extensive experience in mine-contaminated countries, including Afghanistan, Bosnia and Herzegovina, and Kosovo. Andrea McCarren, one of Washington's most accomplished investigative reporters and winner of 22 Emmy Awards, will serve as the evening's Emcee. Congressional leaders and former honorees will join in presenting richly deserved awards to honorees including Mirsad Mirojević, the co-founder and Director of the Fantomi Sitting Volleyball Team, and Congressman Brian Mast (R-FL), who was severely injured by an IED in Afghanistan and now actively supports physical and mental assistance for veterans. The Humanitarian Service Award will be presented to Stephen and Jaqui Edelmann, whose philanthropy and volunteerism have made immeasurable contributions to helping others around the world. This year's Mine Detection Dog Team of the Year Award will be presented to Vahimad Mammadov and his companion MDD Rocket, an amazing team from Azerbaijan, who have safely and reliably searched hundreds of thousands of square meters of mine-affected land, saving and improving countless lives. John and Paula Marschall along with their two sons, Josef and Jon-Paul, will receive our CHAMPS Family of the Year Award for their selfless dedication and timeless work on behalf of others. Please join us for a wonderful evening, where we will honor these extraordinary individuals (and animals) while enjoying delicious food and festive entertainment by the Silk Road Dancers! 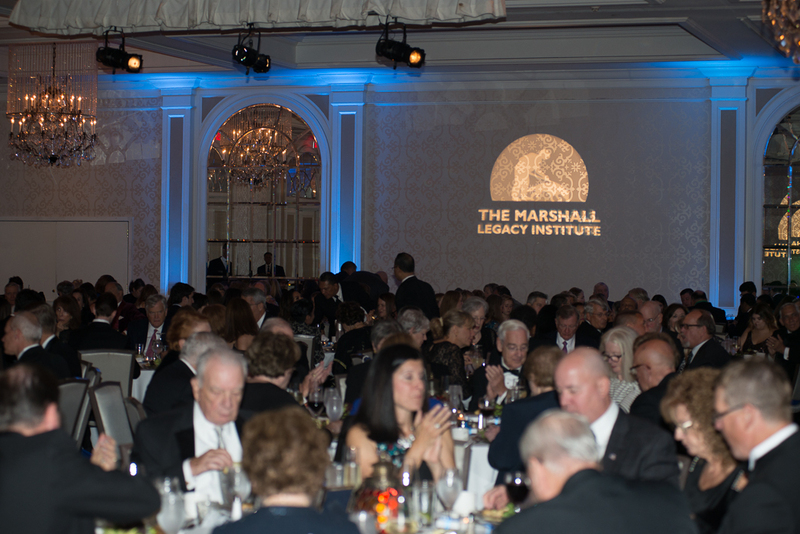 For more information on reserving your table and finding out about opportunities on becoming a Gala sponsor, please visit our website, contact info@marshall-legacy.org or call us at (703) 243-9200. A team from Bittersweet Monthly, an online magazine, traveled to Bosnia in May, 2018 with MLI's VP of Operations, Elise Becker, to witness our work on the ground. The team, including Bittersweet Director Kate Schmidgall, traveled through Olovo, Sarajevo, Konjic and Busovaca to interview and film Mine Detection Dog teams, CHAMPS teachers and students, landmine survivors, and staff from MLI's partners at the Mine Detection Dog Center in Bosnia Herzegovina. The compelling article and accompanying photos (including the photo above of MDD Simone and handler; credit to Jake Rutherford), tell a profound story of communities striving to live life to the fullest in areas that remain highly contaminated by landmines, more than 20 years after the war in the region ended. MLI is incredibly grateful to Bittersweet for showcasing how our programs help men, women, and children live free from the fear of mines. Read the full Bittersweet article here. On September 7th, MLI recognized seven NEW Iraq (Network for the Economic Empowerment of Women in Iraq) mentors for their extraordinary leadership in the movement for the enfranchisement of women in Iraq. MLI honored the mentors for their dedication and generosity in helping integrate Iraqi female heads of household into Iraq's economic and social fabric, and for serving as outstanding role models. MLI began the ceremony by welcoming all in attendance and highlighting accomplishments of the honorees. The AMAR Foundation, MLI's partner during the project, then made remarks followed by comments from each NEW Iraq mentor. The event concluded with a delicious lunch, generously donated by Equinox Restaurant in Washington, DC, and a showing of a documentary that was filmed throughout the project. The documentary may be viewed here. From left to right: Saja, Mona, Josephine, Hind, Hanadi, and Athira. The NEW Iraq project, launched in September 2017, was implemented by MLI and the AMAR Foundation, and was funded by the U.S. Embassy in Baghdad. AMAR staff in Basra, Iraq identified 80 women who had lost their husbands in violent conflict and had thus come to bear the financial responsibilities of caring for their households. The women were matched with 16 successful Iraqi and U.S.-based Arabic speaking business women who volunteered countless hours over the next 12 months, mentoring and training the ladies in subjects like financial literacy, CV writing, market research, preparation of business plans, and most importantly, helped to build their self-confidence. From 4:30 am Skype sessions to weekly calls and hundreds of What's App messages, the mentors invested their time and knowledge, and committed their hearts and minds, to help these Iraqi women succeed. During the ceremony, Saja Mohsin delivered a remarkable speech outlining her experiences as a mentor. "I joined the project because I believe that women's support for each other is a given," she commented. "And for us to empower society, we have to invest in women and they will drive the social ripple effect." Ms. Mohsin recalled witnessing incredible transformations among her trainees, who demonstrated growth in self-confidence, discovered hidden talents to help them succeed, and escaped the emotional stigma of being a widow by growing into strong businesswomen. "Mentorship is about being able to connect, trust, and build lasting human relationships," Ms. Mohsin said. "Economic empowerment is beyond providing knowledge and grants; it's about acknowledging the pain of the women's lives, and valuing their human potential to change their societies." Trainees developed ideas for small businesses and worked with their mentors to create business plans and proposals. Each trainee received a small grant that helped them launch their businesses. The grants enabled the trainees to build hair styling salons, small grocery stores, photography studios, and even a daycare center. To learn more about the NEW Iraq project, please visit our page on women's empowerment. 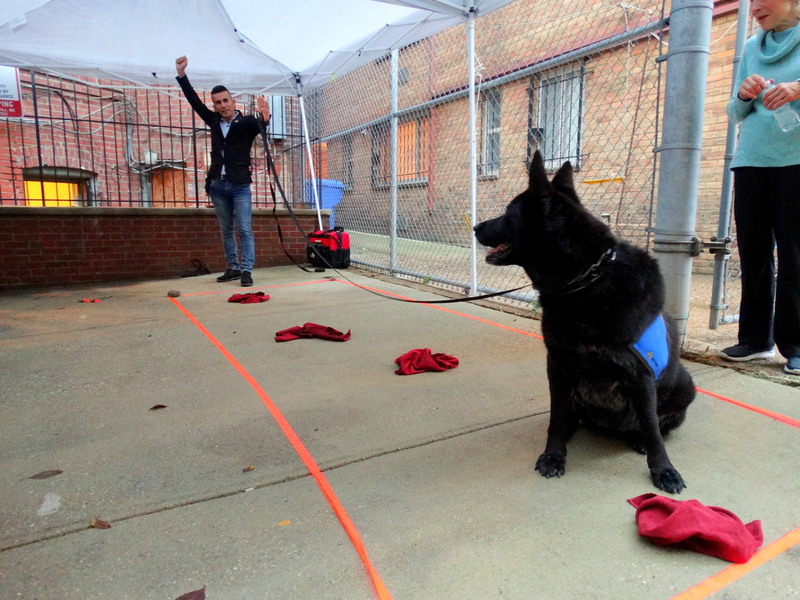 In September 2018, Peshmerga K9 Team Leader Karzan Khalid Grawy visited Washington D.C. to be honored by MLI, who presented him and his Explosive Detection Dog (EDD) Scout with the 2017 EDD Team of the Year Award, for their outstanding work in detecting bombs, IEDs, and mines left behind in Iraqi Kurdistan by ISIS. 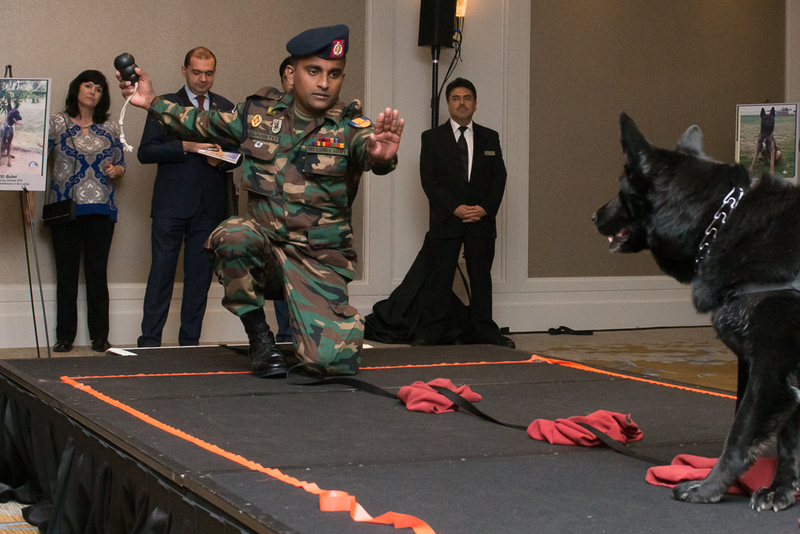 The Kurdish Regional Government (KRG) Representation in Washington D.C. hosted an award ceremony and reception, which included a mine detection demonstration by MLI's Canine Ambassador, Yankee. Karzan and EDD Scout, generously sponsored by General Dynamics, have been working with the Peshmerga in Iraqi Kurdistan since the fall of 2016. Together, they have located dozens of dangerous explosives hidden in the ground and searched more than 3,000 cars and homes that were littered with IEDs, endangering the lives of soldiers and civilians alike. Thanks to their bravery and hard work, countless lives have been saved and thousands more can now live without the fear of explosives. Despite the courageous efforts of dedicated and motivated dog handlers like Karzan, too many people throughout Iraqi Kurdistan continue to suffer in the aftermath of ISIS as many thousands of explosive devices remain to be found. MLI has committed to giving Kurdistan's Peshmerga Army 18 Mine and Explosive Detection Dogs to support and accelerate clearance efforts. 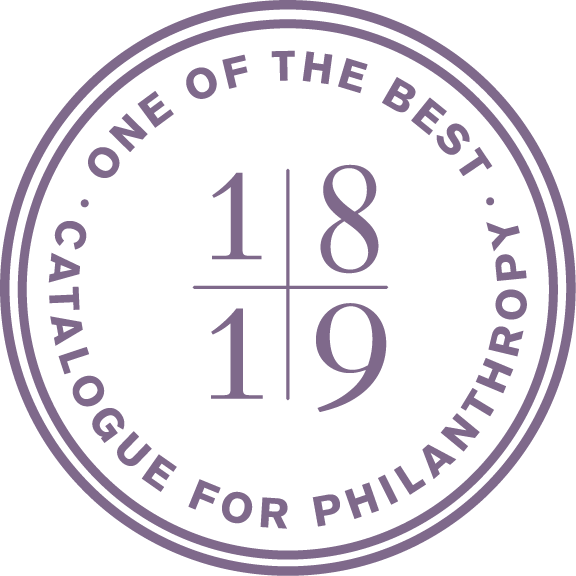 MLI is incredibly grateful to the many donors and sponsors who have already donated generously to this important program. Over the past 18 months, MLI has provided the Ministry of Peshmerga 16 of the 18 requested dogs, and all but one have been sponsored by private Americans. MLI is seeking a sponsor for the 16th dog, MDD Oto, pictured below, to help save and improve lives. 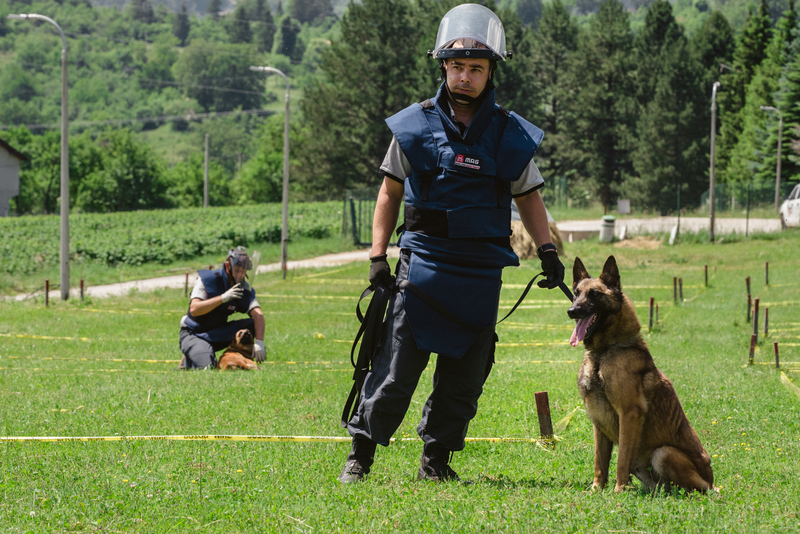 Oto is currently completing training with his Kurdish handler, who will work with him to safely and reliably locate explosives and mines throughout the region. By sponsoring Oto, the donor will receive regular progress reports and photos, be invited to visit Kurdistan to observe Oto in action, and participate in donor recognition events in Washington, DC and/or Erbil, Iraq. The cost to fully sponsor and train a mine detection dog is $25,000, but any donation towards this effort would be greatly appreciated. $100 can help an MDD team search an acre of severely mine-infested land. $1,000 can provide food and medicine for an MDD for one year. $25,000 can provide the gift of an MDD, who will save countless lives during its working life. Click here for more information on GALA tickets and sponsorship packages!